When you hear "French Polynesia" or "South Pacific" you envision paradise with sparkling turquoise water, endless white sand beaches, romance, colorful coral reefs, stunning sunsets and the most unbelievable underwater marine life. With over 100 islands spread throughout 5 archipelagos you will be able to enjoy all of this and more when you plan your South Pacific vacation. Island hopping allows you to experience the varied landscapes that make every island region special. Each island is small so allowing a day or two per island will give you ample time to see the sights you choose. Adding more days will allow you to live the island life and more fully experience the culture. 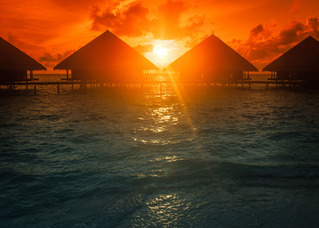 Should you go to Tahiti, Bora Bora, Fiji or Vanuatu? Choosing which islands to visit can be overwhelming. Do you need something well suited for a family or are you thinking of a couple's vacation or honeymoon. Do you think you would prefer to be pampered at a luxurious resort or just relax in a small beach house on a lesser known island? Are you interested in surfing, whale watching, hiking, diving, kayaking or perhaps archaeology? When is the best time of year to visit? Each island has its own "Best For" and our expertise will help you make just the right choices. 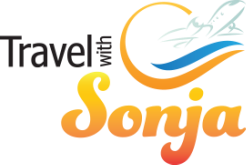 Whether your desire to experience paradise is a romantic South Pacific honeymoon, destination wedding or fulfilling an item on your "Bucket List", Travel with Sonja can assist by creating a customized itinerary that will make your paradise dream a reality! Contact us at agent@travelwithsonja.com or 440-724-3261.